While most smart-phone technology is designed to map locations and information more precisely, Dérive is an application for getting lost. 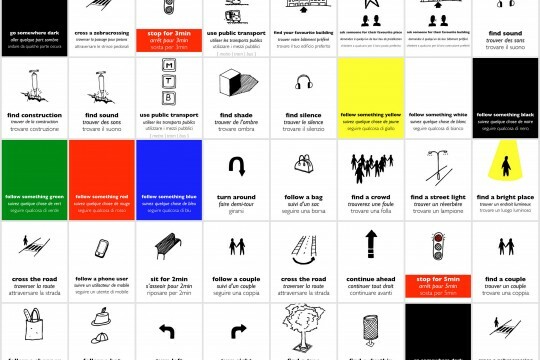 Designed by architect Eduardo Cachucho, Dérive deals users a task card detailing an action, such as “follow a couple,” or “find a tree.” Users are dealt a new task card every three minutes, prompting an unplanned journey through the city. 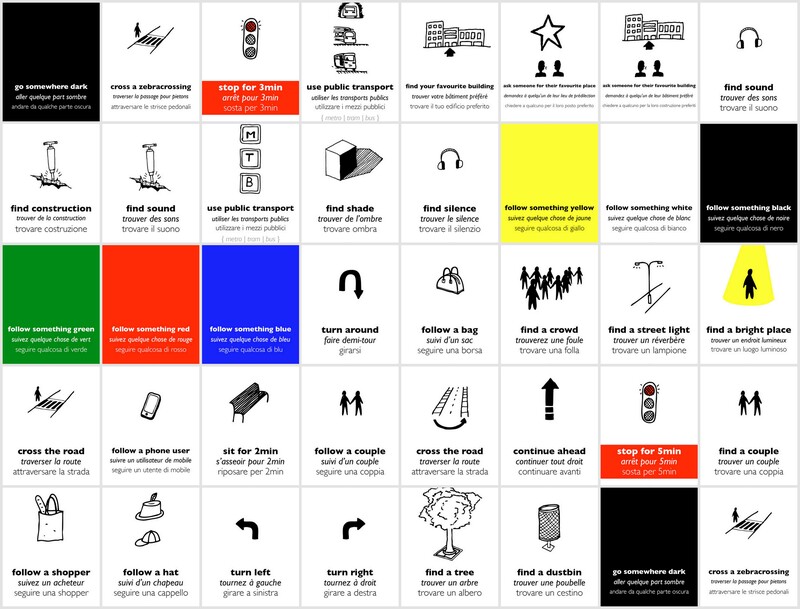 Inspired by the Situationist concept of the dérive (or “drift”), which was in part a political gesture against the monotony of everyday life, this interface facilitates an important aspect of the original spirit – the enduring power of subjective experience in an era of information saturation.